Yes, it is possible to hold the sacred. To feel it. To breathe it in. I have spritzed it around my classroom; students have generally found the smell to be pleasant, if slightly reminiscent of Big Red gum. 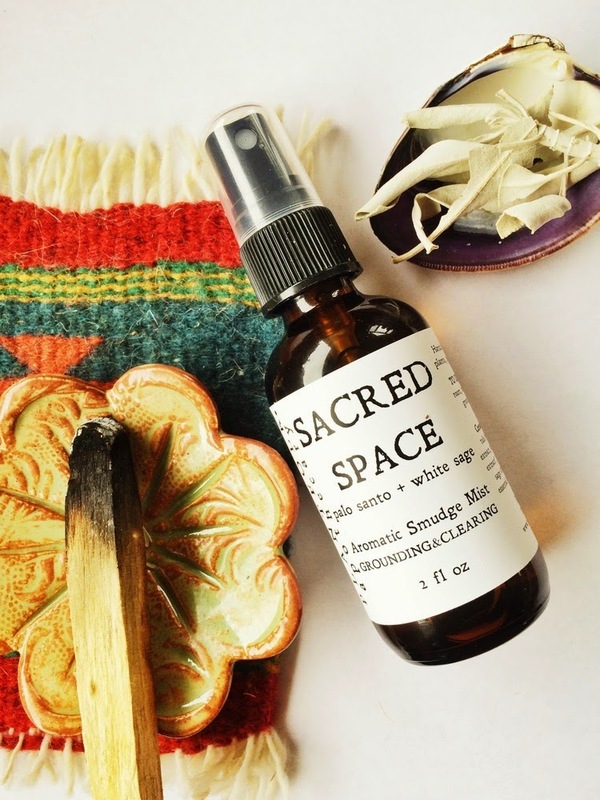 I recently purchased a two-ounce bottle of Sacred Space from Urban Outfitters, America’s finest purveyor of culturally insensitive fashion and home decor. (“TO USE: Mist around your room, house, car, etc., to ground, clear, & renew energies.”) Although this product may seem like little more than all-natural air freshener, the marketing of Sacred Space is interesting for students and scholars of religion and capitalism. Critics of these types of products argue that they represent a form of cultural imperialism, while those that promote these items—and benefit from their sales—argue that they are honoring a community or a way of life. The problem is that, while this item in particular draws on imagery and symbolism vaguely associated with Indigenous spirituality, it is unmoored from a particular cultural community. The art of “smudging,” the burning of sacred aromatic herbs, is a cleansing ritual that has been practiced by humans since ancient times. 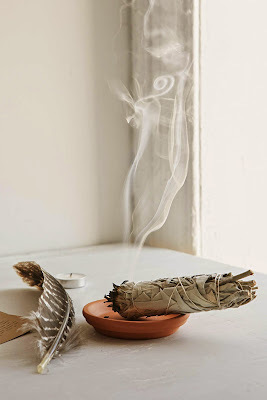 These sacred plants are believed to help dispel unwanted energies and encourage healing.The herbs, essential oils, and flower essences in this mist are among those believed to aid in spiritual cleansing, grounding, and energetic renewal and protection. 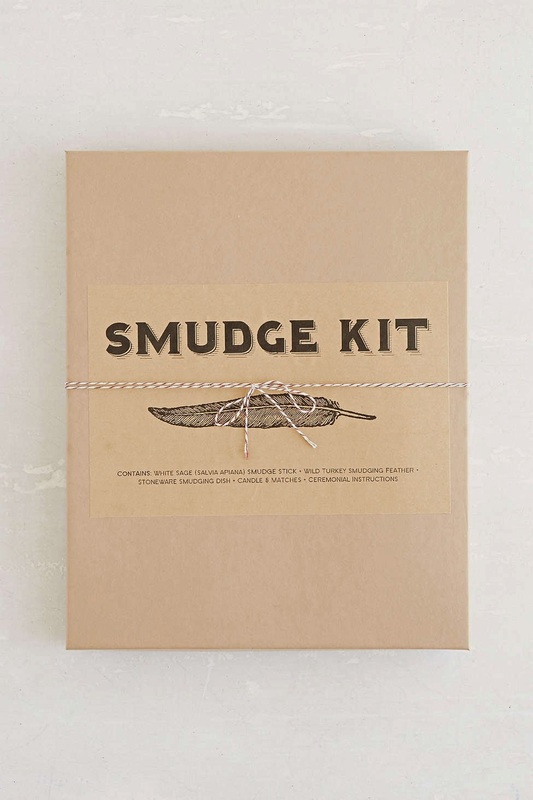 In addition to bottles of Sacred Space, Urban Outfitters was until recently selling smudge kits. 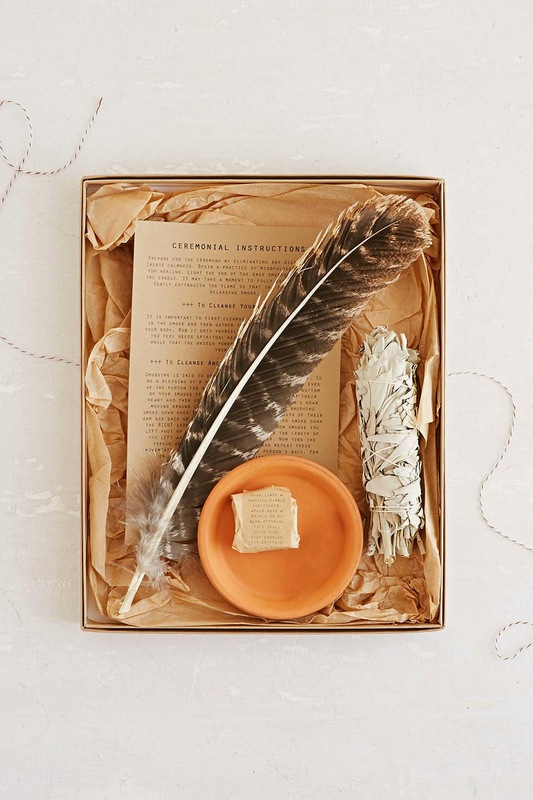 In this instance, the company literally put a ritual into a box. Similar to the bottles of Sacred Space, this kit included "Ceremonial Instructions" that described the purpose and practice of smudging. After critics protested, Urban Outfitters pulled the product from its shelves. John and Jean Comaroff’s 2009 Ethnicity, Inc. offers a useful analytical framework for understanding the process through which individuals and companies package facets of culture and religion for sale and consumption. Another useful text for thinking through this phenomenon is Jeremy Carrette and Richard King’s Selling Spirituality (2004), which focuses primarily on the commodification of Eastern religions. The appropriation of Native American and Indigenous spirituality does deserve a special place in this discussion due to a long history of appropriation in which non-Natives simultaneously extracted resources and objects from Indigenous communities while demanding that Native Americans assimilate to mainstream culture. In the late-nineteenth century, an era of particular interest in my work, Euro-American collectors sought Native American religious art, artifacts, and medicines even as the U.S. government legally restricted Indigenous participation in self-determined practices. The tensions underlying this and earlier instances of material exchange and extraction continue to reverberate in contemporary debates about cultural appropriation. The availability of Sacred Space and other “spiritualish” products raises important questions about the relationship between religion, culture, and capitalism in the United States. Does the popularity of “ethnic” or “tribal” culture say something about mainstream America’s acceptance of Indigenous religions? What role does the market play in defining the contours of religion and spirituality? How might the celebration of religious pluralism translate into the proliferation of individualized products and practices focused on improving one’s own needs and moods--through the imagined practices of others? Thanks for the pointer to Ethnicity Inc, I'll have to check that out. Somewhat similar questions were also on my mind as I wrote "Mindful America." The appropriation of Asian religions in America (in the case of my book, mindfulness meditation extracted from Buddhism) mirrors the situation of indigenous cultures/religions in some ways, but there are divergences as well. That the title of this post makes some sort of sense just shows how mainstream such practices have become. I was attempting to delineate the specific processes whereby non-Christian religious elements are made into viable commodities in the intersecting religious/spiritual/secular marketplaces of America. 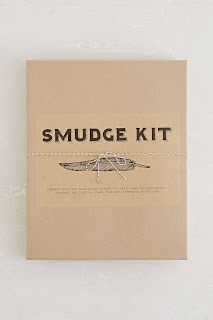 A lot of them seem to be at work in these Sacred Space and Smudge Kit items as well. Thanks for your response, Jeff - I need to read your book! In my world religions class, I have students find examples of commodified Buddhist ideas/products... it's fascinating to see what they come up with, and how they reflect on the meaning of the products. That's one of the interesting elements of the marketing of non-Christian forms of spirituality -- it ends up flattening the particularities of different cultural groups. One of the questions I've been thinking about with regard to the use of pseudo-Native American products: with what actual vs. what imagined community do practices/purchases identify a practitioner/consumer? Anyway, I'm looking forward to checking out more of your work!